Bread Basket Café & Bakery: Several fans mentioned “any soup from the Bread Basket,” but the White Chili with Chicken was a specific favorite. 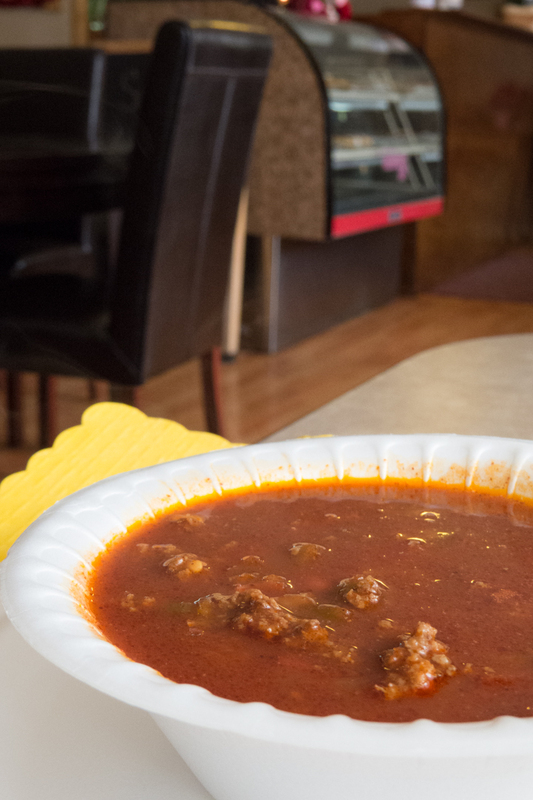 This smooth chili has won a cookoff and people’s choice, and owner Judy Sexton has kept it on the menu for years. It’s a creamy chili, with a subtle spiciness that you don’t notice until you’re a few spoonfuls into the bowl. You don’t need a sandwich with this soup — it’s hearty and definitely a meal on its own. Mayberry Cafe: The Broccoli Cheddar and Pizza Soups were both recommended by our fans. And be sure to return when summer arrives — the cool watermelon soup is also a notable fan favorite! Court House Grounds: Several fans recommended the Dill Pickle Soup at Court House Grounds, and others mentioned the Stuffed Bell Pepper Soup. I had never heard of Dill Pickle Soup and had to try it for myself — and the fans were right! This broth-based soup has all the great flavor of a dill pickle without the pucker. It’s light, smooth and pairs perfectly with one of CHG’s grilled sandwiches. It’s not offered on a regular basis, so keep your eyes and ears open for a special, and go back again and again. The Beehive: Our fans love the soups from the Beehive! They recommended the Potato Bacon Corn Chowder, Stuffed Bell Pepper and Butternut Squash soups, in particular. 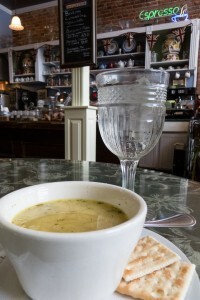 The Beehive serves most of its soups on a regular schedule with a different soup each day, which you can find on their website. I loved the hearty, satisfying Stuffed Bell Pepper — it was chock-full of tomato with rich flavor. A spoonful of rice mixed in, with a side of fresh baguette, rounded out a great dinner that paired well with a small salad. 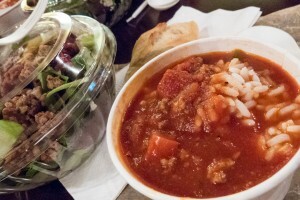 Cinnamon Girls Cafe and Bakery: If you’re craving a bowl of comfort, head to Coatesville and have some of the Texas-Style Chili at Cinnamon Girls Cafe. Known for its handmade, fresh cinnamon rolls, the Cafe also offers a nice selection of lunch offerings.Owner Jill Nichols said the Reubens are especially popular. At this time of year, she offers her meaty, spicy, Texas-Style Chili about once a week. A tip: Pick up a treat for dessert on your way out. Jill was making fresh truffles when I arrived, and they were divine! 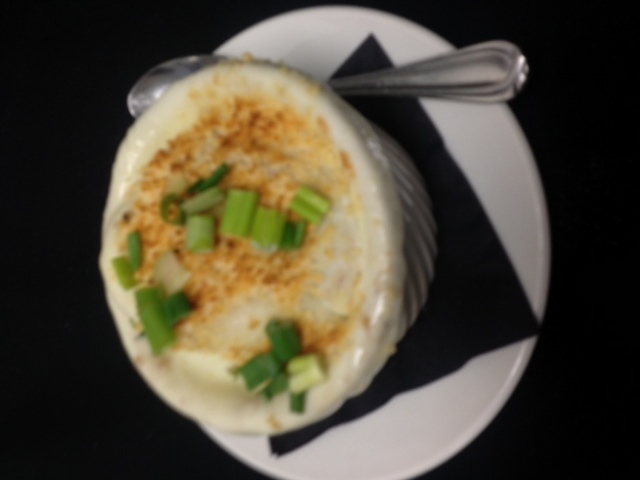 Dawson&apos;s Too: Start your meal at Dawson’s Too with the recommended French Onion or Tomato Basil soups. Elegance: Cabbage often plays a supporting role in a good vegetable soup, but it stands on its own in the Cabbage Soup at Elegance Restaurant. Savor Thyme Cafe: One of the county’s newer restaurants, Savor Thyme Cafe’s Beef Vegetable soup has already gathered a following. The Coachman Restaurant: Our fans love their French Onion Soup! 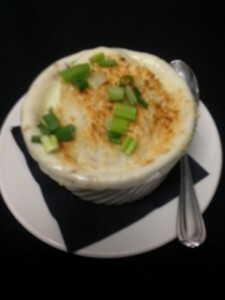 The Coachman’s version earned our second nominee of French Onion as a fan favorite. 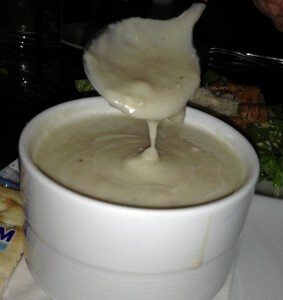 Stone Creek Dining Company: Take a break from your shopping at Metropolis and have a bowl of the Potato Leek Soup. It’s sure to warm you up. 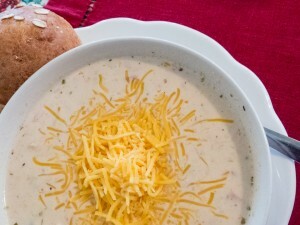 Charbonos: Especially enjoyed at lunch time, Charbonos’ Chicken Velvet Soup earns high marks for its creamy, rich flavor. If you haven&apos;t tried this soup yet, it is a must and is available every day. La Hacienda: Want something different with your Mexican meal? Try the Chicken Tortilla Soup at La Hacienda in Avon. Honorable mention: These three may be found at national chain restaurants, but the fans don’t mind. Many of these soups aren’t offered on a regular schedule, so watch the restaurants’ Facebook pages for special announcements, call ahead, or just drop by and try what they have that day! You can’t go wrong. Do you have a favorite that didn’t make this list? Let us know in the comments below.